One of the most popular features of the S&S website is the Flathead Power® forum. This surprises some people, but it doesn't surprise me. Flathead Power is S&S Cycle's brand for motorcycle vintage parts and since nobody throws a Harley® away, it makes sense that all those old bikes that are still out therewill eventually need to be fixed. S&S Cycle has been in business since 1958 and my father was making high performance parts on his own for years before that. As a result, we have a pretty good feel for "vintage". One thing we know for certain is that the guys who are into vintage motorcycles are "really" into them - bordering on fanatical. So it's no surprise to me that the forum is popular. Those who have followed the vintage scene for a while will know that Flathead Power actually originated in Sweden. A gentleman named Anders Nygren was producing parts for flathead and knucklehead engines and gained quite a reputation for producing high quality performance and restoration parts. 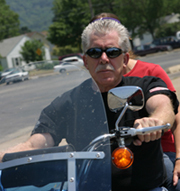 In the late 1990's Mr. Nygren formed a partnership in America so the parts could be manufactured in the USA. Unfortunately, that arrangement did not work out and in the end, the company went bankrupt. In July of 2007 S&S purchased the Flathead Power (FHP) brand name and intellectual property (trademarks, patents and designs) along with the remaining inventory of parts and tooling. When S&S got all the material from FHP, it was not just a simple matter of resuming production. We needed to validate the quality of the parts, and in most cases improve the design and material. This is the same thing we do with all the parts S&S manufactures. S&S has always been driven by the need for quality, and the basis for quality is good design and sound engineering. That means we had to dot all the "i's" and cross all the "t's" to ensure that we could consistently make excellent parts time after time. In our plant we have state of the art CNC machining centers, which can rapidly and efficiently machine parts, with one part virtually identical to the next. The investment in time and effort to make sure that everything was right before those machines started making chips was job one. This very necessary up-front work resulted in ov er a year's delay before we could actually begin to supply parts to satisfy the demand for quality vintage products. We introduced the KN-Series engines shortly after our 50th anniversary celebration in 2008, and of course if we can sell a complete engine, we can sell all the parts needed to build it. We've come a long way, but it's not over yet. 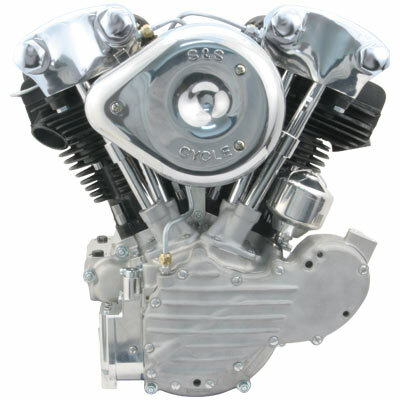 Our next FHP product release is likely to be cylinders for big twin side valve UL engines, or flatheads as they are commonly called. There is a strong demand for vintage motorcycle parts, and part of the reason is that there just weren't that many flatheads manufactured back in the 1930's and 40's. At least the number is not large by today's standards. Another reason is that back in the day, they weren't held in the reverence that they are today. They were just old motorcycles. Since the 4-9/32"stroke of a 74" UL motor was longer than the 3-31/32" stroke of the 74" knuckle or pan, it was common to take flywheels from UL engines and use them to build "stroker" knuckle and pan engines. According to some conversations we had with a couple of old timers at the Cincinnati Dealer Expo, the UL crankcases were just smashed with a sledgehammer to get the flywheels out. The rest of the motor was just thrown away. I'm not sure that's really true, but it makes a great story. It does make me cringe to think of what those engines would be worth today! The popularity of the Flathead Power forum just goes to show that "vintage" never gets old.